WILLIAMSPORT, Pa. – For the second time in program history, a Lycoming College football kicker has earned recognition from the Fred Mitchell Award for excellence on the football field and in the community in September after a record-breaking month from junior Jamie Fisher (Folsom, Pa./Ridley), the award committee announced on Monday, Oct. 8. Fisher joins Zack Czap ’14 as the only Warriors to earn the recognition from the award, given to the nation's top collegiate placekicker among more than 600 FCS, Division II, III and NAIA football teams. The award is named for Fred Mitchell, the record-setting placekicker, Wittenberg University Athletic Hall of Famer, author, philanthropist and Chicago Tribune sports columnist. The recipient of the Fred Mitchell Award will be chosen based on excellence on the football field and in the community. Fisher hit 7-of-9 field goal attempts and 11-of-12 point-after attempts in the month of September. He was named MAC Special Teams Player of the Week and to the D3football.com Team of the Week after hitting school-record four field goals against Widener. He followed that by hitting three more against Lebanon Valley and he hit two 40-yard field goals this year to improve his school record to five in his career. The strong-legged kicker also posted seven touchbacks. Fisher was a Honorable Mention All-MAC kicker in 2017 when he tied a school-record by hitting 13-of-18 field goals. He has volunteered with the football team during the Favors Forward Spring Cleanup in each of past two years and volunteers at baseball and soccer camps as well as serving as a youth soccer referee in hometown. 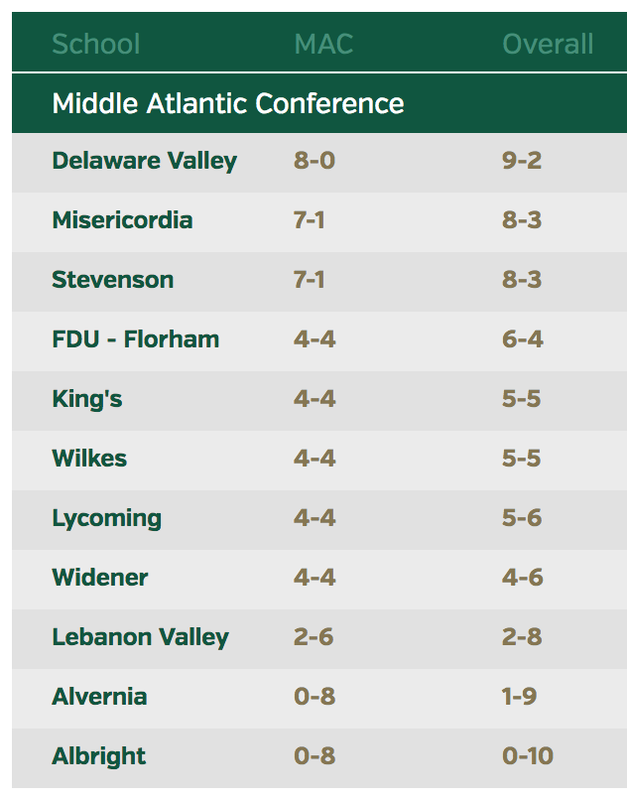 The Warriors (3-2 overall, 2-1 MAC) get back on the field on Saturday, Oct. 12, when they head to 17th-ranked Delaware Valley for a key MAC game at 12 p.m.